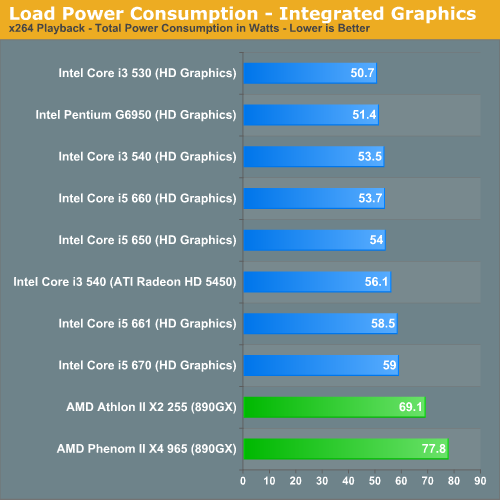 why was the G45 omitted on pg2 in the graph of power consumption under load with integrated graphics? I was keen to see how much more efficient HD graphics were than g45. It would have been nice to see the benchmarks run with the overclocked G6950 also. 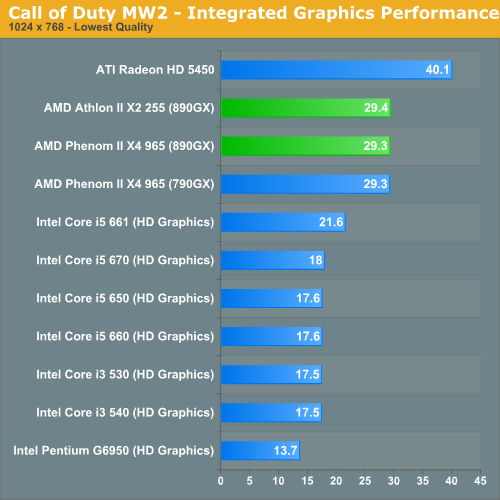 I have a hard time comprehending what Intel/AMD's TDP ratings mean in light of the "Load Power Consumption" graph. How is it that Intel CPUs with higher TDP ratings consume MUCH LESS power at load than AMD CPUs with lower TDP ratings. Just looks at the results -- all of the Intel core i3/5 CPUs are 73W TDP but the Athlon X2 255 is rated at 65W yet consumes 20 more watts at load. Is the 790FX motherboard that inefficient? WTF??? Why the hell is it necessary to always put discrete graphics card in systems with integrated graphics and do power consumption tests with it? 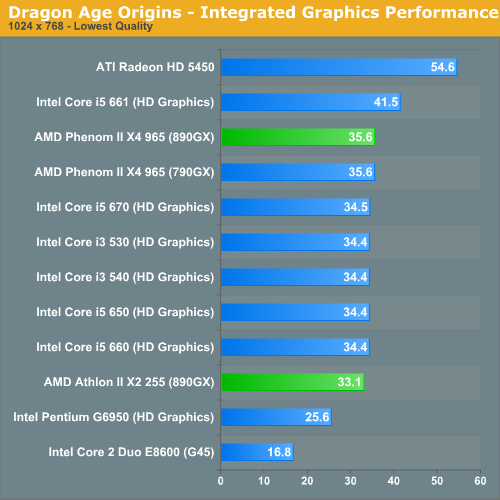 Is the benchmark used for power independent from the graphics card? It's necessary to save many hours of work the testers could spend on more articles. What counts is the delta in power consumption between CPUs/platforms at idle and load.